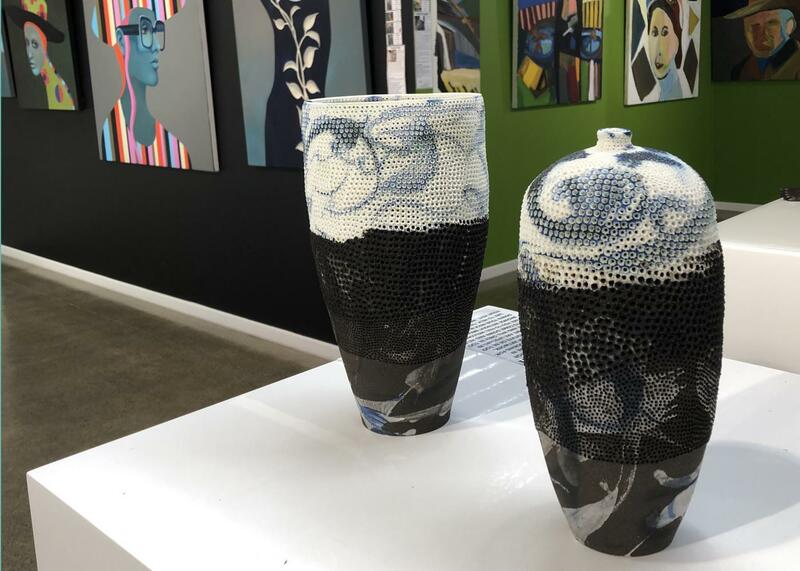 Well known as a teacher and a professional ceramicist, Gold Coast based artist Megan Puls is widely exhibited, highly awarded and is one of Australia’s most successful ceramic artists. Recently, Megan Puls was selected as one of seven ceramic Australian artists to represent Australia in an exhibition entitled “Omnus -Terra” in Portland, Oregon. Inspired by the natural landscape around her, in particular the native wetland habitats, Megan is constantly creating, experimenting and pushing the boundaries of her chosen field. 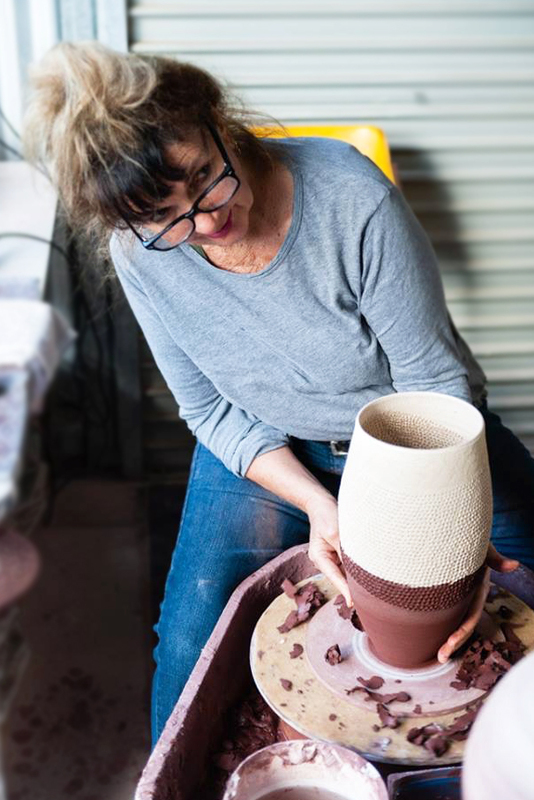 Well known as a teacher and a professional ceramicist, Megan is widely exhibited, highly awarded and is one of Australia’s more successful ceramic artists. Never content to remain static, she develops new skills, new techniques and new forms with consummate speed and mastery of her materials. Her works has featured in art competitions, festivals, magazines and books and are held by national and international collectors. My work is inspired by the wetland habitat of Australia. The horizontal lines represent the tidal markings found in mangrove landscapes and the miniscule piercings mimic the tiny crustacean burrows found in mudflats. I especially enjoy the challenge of combining different clays and found recycle objects. In these pieces, the smooth white porcelain contrasts with the organic earthy hues of rust and recycled wood. These differences in form and texture suggest the inter-relatedness of flora and fauna in the tidal zone. Each cluster of vessels tells the story of different aspects of the wetlands – from the waves of the ocean through to the crabs and the birdlife. Organic in shape and quiet in nature, these vessels evoke the beauty and fragility of this complex ecosystem. It’s about connectivity – water is life, it is central to every one of us and is the common element that connects us all – in our world and in our being. It connects all the continents in the world. It makes us one.